Naval architecture and Engineering Studio, specialized in sail boat and power boat design, optimization and modification. After many year of experience in Yacht Design, the design staff has created this design office, regarding to the design process, innovation, performances, design and engineering. Many design international cooperation active and italian style for interior and exterior's design. 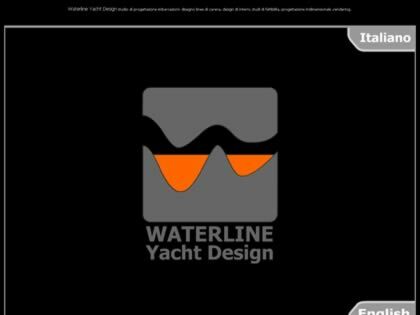 Web Site Snapshot: If available, above is a snapshot of the Waterline Yacht Design web site at http://www.wyd.it as it appeared when this site was added to the directory or last verified. Please Note that Boat Design Net has no involvement with the above web site; all content and images depicted in the above thumbnail are the property and copyright of Waterline Yacht Design unless otherwise noted on that site. Description: Naval architecture and Engineering Studio, specialized in sail boat and power boat design, optimization and modification. After many year of experience in Yacht Design, the design staff has created this design office, regarding to the design process, innovation, performances, design and engineering. Many design international cooperation active and italian style for interior and exterior's design.